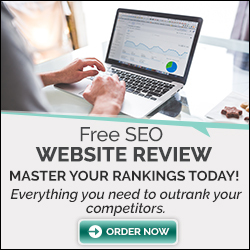 These SEO tips have the potential to improve your ranking and attract new visitors and customers especially tip 5. Make sure that URLs are short and concise, they look better and are preferred by the search engines that way. In many online shops, the URL structure is a complete mess. This confuses not only the visitors but also the search engine crawlers. Therefore, the URL should be as short and concise as possible but includes the product name or the search term for which the product is to be found. So make sure that the URLs of your online shop have a logical structure. Use unique texts and images on your website. Write your product descriptions yourself (and breathe life into them) instead of just taking them from the manufacturer like your competitors. In the new Google Search Console, you can check for individual subpages and how often they are clicked. If the number of impressions is high but the position is worse than 3 others, it will miss you many valuable clicks. The subpages, which have almost a good ranking, should be optimized! The freshness factor also plays a role in good positioning in the search results since up-to-date information is preferred by search engines. Analyze what keywords your competitors use to attract traffic (eg with Sistrix) and develop a content strategy to secure those traffic sources. A fast website should be top on your list of priorities. Users are becoming more and more impatient and do not want to wait long for a website to load. To do this, you need to optimize images, hosting, and invest in a cloud delivery network. More and more users are surfing on their smartphone or tablet. Google knows this so it prefers websites that look good on any screen size and are easy to use. Trust me, your visitors will be thanking you for this. This data is in the source code of a website that is transmitted to search engines. It’s a good idea to set a meta title and meta description for each page to make each click more attractive from the search results. If you are on the first page of search results but you just can’t break the pole position, it may be because of the title. Try different titles that are more exciting or interesting to make searchers to your website. Not only meta-data can give you an advantage, but structured data can also provide search engines and searchers with additional data (opening hours, address data, navigation paths and/or product ratings). This additional information can be displayed in the search results and often increase the clickthrough rate. Investing in AdWords or other types of advertising should test whether the conversion rate increases when a visitor is directed to a landing page specifically designed for the ad campaign. Make sure that the content on your website is easy to consume. Do not use text blocks like Wikipedia; relax the page with paragraphs, pictures, videos and other types of media. A website of a product can shine if it’s shared on social media platforms. This is often an indication that your website will be at the top of search results. Make it easy for your visitors to share your content. SSL certificates ensure that your domain’s address starts with https instead of http (see example in 13.). More importantly, SSL encryption protects your users’ data, builds trust on your website, and is required by Google since May 25, 2018. If you’re googling now and have not disabled autocomplete search, you’ll notice that Google is completing searches for you. This is a very useful tool especially that the suggestions are often what most users are searching for. You can also use the suggestion feature of eg Amazon and YouTube to find more ideas with the use of a keyword tool. Experienced copywriters know that the headline of an ad dictates its success or failure. The situation is similar with your website. If the website cannot grab the attention of its visitors, they will leave the site and may never come back again. So try your best to captivate visitors immediately. Through successful PR campaigns, content or guerrilla marketing, sponsoring, and thousands of other strategies, backlinks can be obtained efficiently. A 404 error means that a page can no longer be reached which can be from different causes. No matter what the cause is, this mistake should be avoided. Tools like SEO Quake can help to find and fix these dead links. Web pages that provide little information are seldom found on the first page of the search results because they do not answer any question from Google. Detailed and well-researched articles that deliver real value often dominate the positions. Be sure to look at search queries thematically, not just to optimize a keyword, but to provide a holistic answer. More text means a better ranking. Although this statement is correct, it is not always true. Because instead of producing content just to have lots of them, you should focus on the user and search intention (see 20). Since Google is interested in producing the best possible search results, you should concentrate on providing searchers (& Google) with the results that they want. Quality and Relevance beat quantity. Good SEO in the UK, which is successful in the long term and constantly supplies new customers, takes time. So be patient and stay on track—create more and more content, keep optimizing. As long as you stick to SEO Tip 20, almost nothing can go wrong. We wish you much success! Internal links ensure an even distribution of SEO content on your side. The best-known example of internal linking is Wikipedia. Each of these blue words which are links leads to another article on the website. They help the visitor find their way around the website and ensure that the power of a website is evenly distributed. The setting of internal links is therefore very useful for SEO Company Brighton and the user experience. Content links – These are the internal links in the main part of the written content, in your blog posts for example. These backlinks have the most link power. Links in the sidebar – These are all backlinks within the sidebar of a website. These links usually lead to current blog posts, options, or information pages. Links in the navigation bar / Menu – These are the links in a navigation bar / menu. In most cases, they direct the visitor to the homepage, the blog, the About us page and the Contact us page. Footer Links – These are all backlinks in the footer section of a website.